This entry was posted in Methods on March 4, 2019 by Russ Hovey. 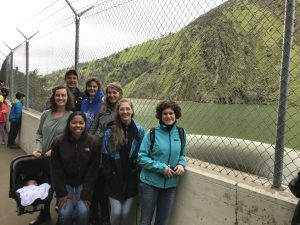 Lab outing to the biggest duct of all – the glory hole spillway at Lake Berryessa west of Davis – a once in a rare-rainfall lifetime chance to see overtopping. This sucker is big – 22 meters diameter at the inlet behind us!! Yet, eerily quiet…..
From Wikipedia: Near the dam on the southeast side of the reservoir is an open bell-mouth spillway, 72 feet (22 m) in diameter, which is known as the Glory Hole. The pipe has a straight drop of 200 feet (61 m), and the diameter shrinks down to about 28 feet (8.5 m). The spillway has a maximum capacity of 48,000 cfs (1360 m³/s). The spillway operates when there is excess water in the reservoir; in 2017 after heavy rains it started flowing, for the first time since 2006. In 1997 a woman was killed after being pulled inside the spillway. What do you do when you want to find out what each other’s personal strengths are – in the name of improving teamwork and to capitalize on a lab retreat on personal styles and strengths? 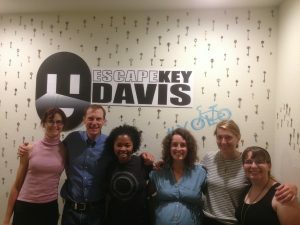 You head off as a lab group to an Escape room. And – we did it – beat the buzzer, solved the mystery and lived to tell the tale!! This entry was posted in Methods on January 11, 2019 by Russ Hovey. Alice and Natanya giving some of our girls a good old sudsing! 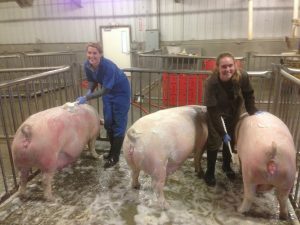 (for the unacquainted, this is a standard practice to ensure that as few microbes as possible enter the farrowing room where pigs give birth and raise their litters). For the humans it is all just bubbles! 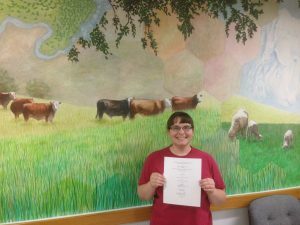 Congratulations Amber on submission of her Master’s thesis – culminating a tour of force in the lab as an undergraduate intern, Honors student, and Master’s candidate in Animal Biology! Sharing the wonders of lactation biology Down Under! 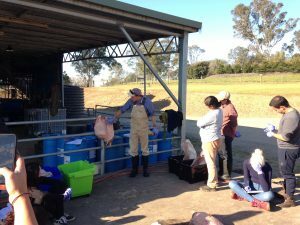 As part of a recent collaborative exchange with Dr Yani Garcia’s Dairy Science Group at The University of Sydney, Russ gave a guest lecture to students in the Dairy Production class on all things milk, including a hands-on udder dissection practical lab. This entry was posted in Methods on August 15, 2017 by Russ Hovey. Did you know – not all mammary glands are made the same way! This entry was posted in Methods on July 27, 2017 by Russ Hovey. 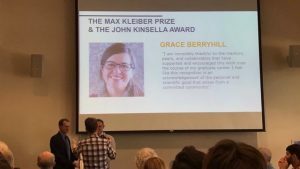 Congratulations to Grace Berryhill, recent lab alum and now technical scientist at Jackson Laboratories – on May 22nd, Grace received not one, but 2 major awards! Grace’s accomplishments were recognized on May 22nd at a Graduate Studies reception. Congratulations Grace!! This entry was posted in Methods, News on May 15, 2017 by Russ Hovey. Ever wondered if all fats are just fats? 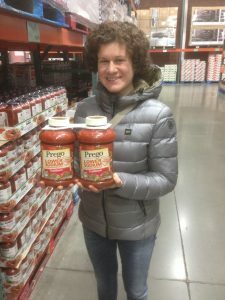 Not according to Grace Berryhill’s recent publication showing that only some fats have the ability to make the mammary glands grow! Trans-Fatty Acid-Stimulated Mammary Gland Growth in Ovariectomized Mice is Fatty Acid Type and Isomer Specific. Berryhill GE, Miszewski SG, Trott JF, Kraft J, Lock AL, Hovey RC. Lipids. 2017 Jan 10. doi: 10.1007/s11745-016-4221-2. This entry was posted in Methods on January 24, 2017 by Russ Hovey. What’s inside the mammary gland – the fast version! 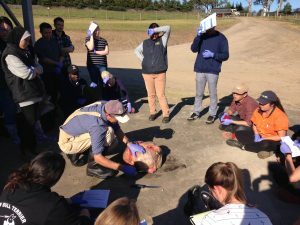 Russ recently was part of the University of Sydney’s Dairy Research Symposium in Wagga Wagga at Charles Sturt University. As part of the meeting we were able to demonstrate to dairy producers and others just what is inside the udder! Full credit to the folks at the Australian Broadcasting Corporation for creating this fast-view version! This entry was posted in News on September 3, 2016 by Russ Hovey.